The title of the next book that needs to be written is not War & Peace, but War and Debt. The interesting complexity of continually borrowing with no intention of ever paying anyone back is a totally modern development post-WWII. This has simply never been done before and governments have no clue what to do. They borrowed previously, but tended to pay back by raising taxes. At least there was some sense of obligation. Today, the national debts are just Ponzi Schemes where they issue new debt to pay off the old. 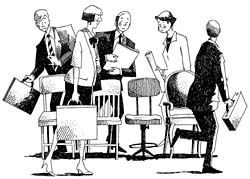 This is one game of musical chairs. Russia has raised its key interest rate to fight inflation as the rouble weakens in the face of war. These heads of states have been taught the lesson – this is no way to run a government. The key one-week minimum auction repo rate in Russia was increased by 50 basis points to 7.5 percent. There is no possible way for the Bank of Russia to lower the key rate in the coming months, especially since it raised its key rate by 150 bps in March in response to financial instability created by the political crisis in Ukraine. Standard & Poor’s has cut Russia’s credit rating to BBB-minus, just one notch above junk – or non-investment – level. Moscow responded that politics had played a role in S&P’s decision. However, it was the first downgrade by a major agency following Russia’s annexation of Crimea from Ukraine in March. What Russia is suddenly discovering is what we have been basing our analysis upon – Capital outflows, The investment capital has been pouring out of Russia since its economy began to weaken last year, along with emerging markets in general. However, adding this tense geopolitical situation between Russia and the West over Ukraine, has produced a mass exodus of capital in the area of $64 billion for the first quarter 2014. This is introducing additional significant capital outflows of both foreign and domestic capital from the Russian economy. We see even Russian Oligarchs moving money to other based currencies and Putin has responded by increases their taxes. This is a interesting conflict of the old way of empire building and the post-WWII way of always borrowing and never paying anything back. Both the United States and Europe have threatened harsher sanctions against Russia and Putin has responded by sending bombers over Europe to reminded them who they are dealing with. The capital flight from Russia of about $64 (46 billion euros), will impact its economic growth slowing it down dramatically. Meanwhile, Russia’s central bank has spent billions of US dollars on trying keeping the rouble from falling too fast. We are entering a completely new era in economics. (1) if countries perceive their borrowing curtail their ambitions, then we have a check and balance, however (2) if countries cannot borrow, then they may invade and revert to the old Conquest Model relying upon the spoils of war, which included the confiscation of assets belonging to an adversary. 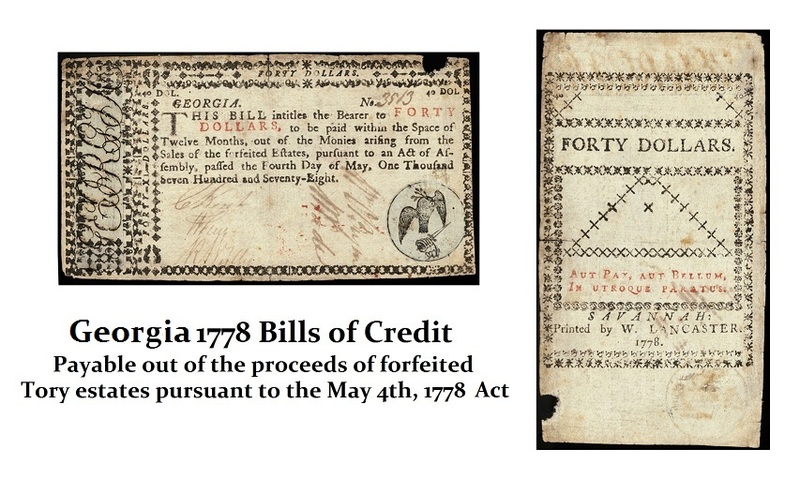 Pictured here is a Georgia note of 1778 backed by assets confiscated from people who supported King George III. The French confiscated the assets of the Catholic Church under Napoleon. Either Putin backs down, or he asserts the same principles and is then forced to invade in short-order just to economically survive.